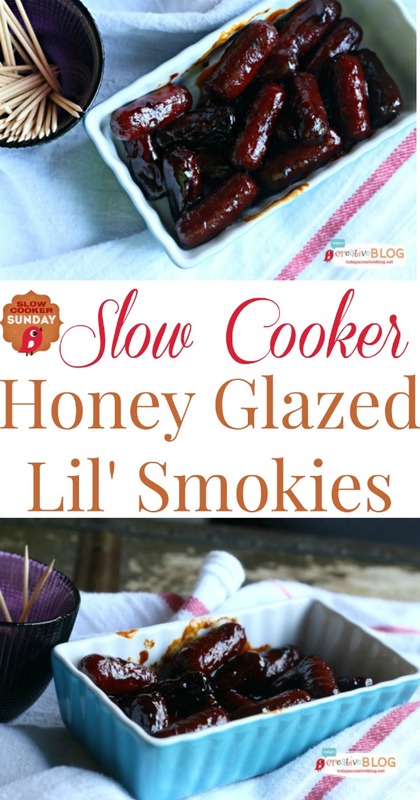 This is Slow Cooker Honey Glazed Lil’ Smokies is the perfect recipe for Super Bowl Sunday! 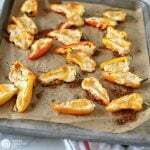 Have a feast and serve these along with a few ideas found on Today’s Creative Life! 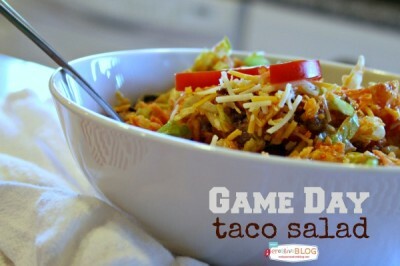 Game Day Taco Salad, Turkey and Cheddar Pinwheels, Homemade Hot Dog Chili or my Hot Cheesy Bacon Dip. 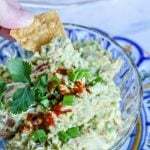 Those are all great recipes to kick off any game day! My 5 minute blender salsa, my easy Slow Cooker Queso, Slow Cooker BBQ Meatballs, my Meat & Cheese Sliders or my easy guacamole are also all Game Day must haves! 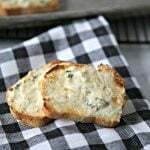 All of my recipes are easy to make and delicious to eat! Nothing complicated is allowed in my kitchen. Looks like I’m going to need to pull out more than one Crockpot. Yes, I have more than one. Although the Queso can be made on the stove top, it just won’t be kept warm all throughout the game. That’s the beauty of making it in your slow cooker. 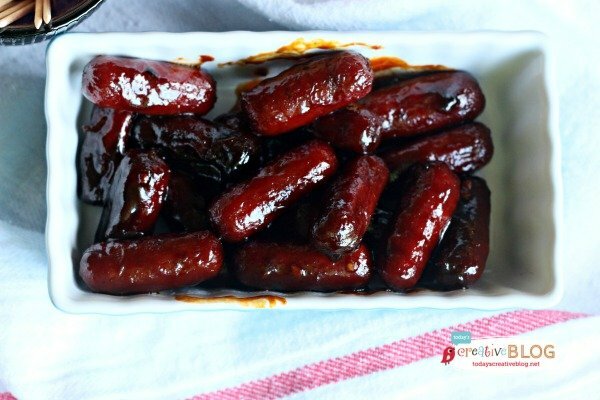 Making BBQ meatballs or these Slow Cooker Honey Glazed Lil’ Smokies in the crockpot is one of the easiest appetizers you could ever do. 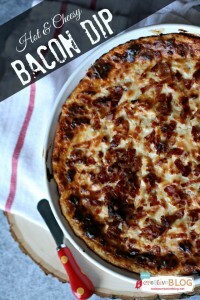 They taste great every time, they satisfy the hungriest carnivore and kids even like them! The prep is minimal, which makes them high on my list. 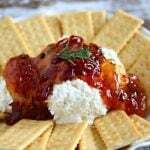 So if you’re looking for an easy crowd pleaser, these are it! 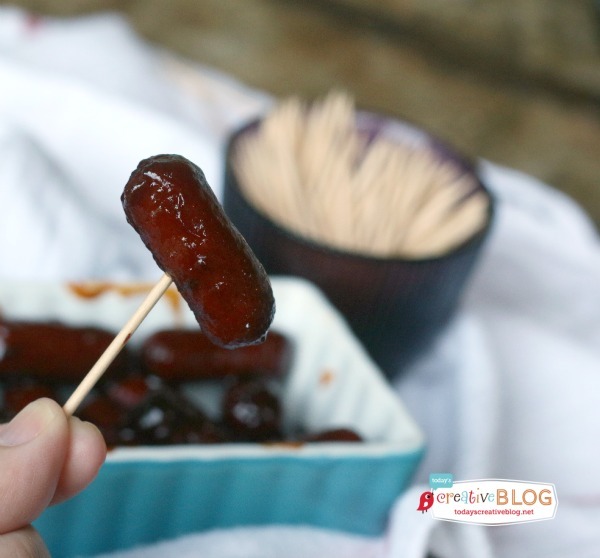 If you find that your child used up the last of the honey, or you’ve just run out of garlic….you can also just throw the Lil’ Smokies in the crockpot along with a bottle of BBQ sauce and call it good. It’s still delicious! In a medium bowl, mix together ingredients, honey, brown sugar, ketchup, soy sauce Worcestershire sauce and garlic. I used a fork to blend. Place your Lil' Smokies in your crockpot and pour mixture over the top. Stir to coat evenly. Cook on HIGH for 2-3 hours or on LOW for 4 hours. Stir occasionally, scraping the sides. 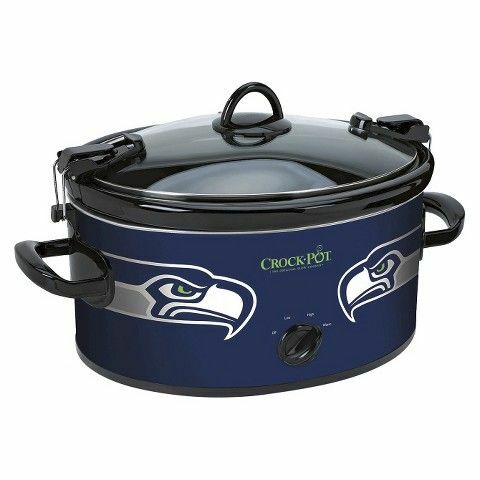 Either serve directly from the crockpot, or place in a serving dish. 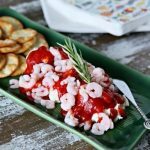 Still looking for more Football food? 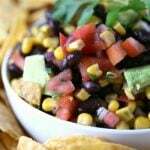 We love this Game Day Taco Salad year around. It’s got Doritos in it…… so you know it’s going to be tasty! If you don’t like Doritos, you can use other chips. 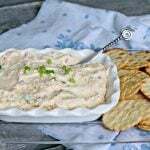 Hot Cheesy Bacon Dip – Need I say more? 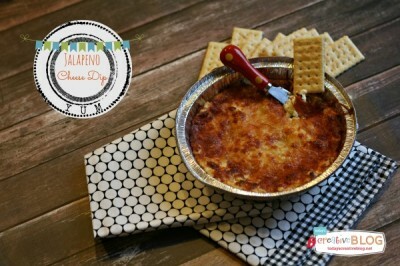 Jalapeno Cheese Dip – This stuff is delicious with just the right amount of kick. 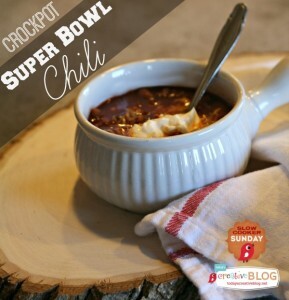 Slow Cooker Chili – Gotta have Chili!